The project intent was to achieve a natural landscape that incorporated native granite boulders and a waterfall feature. Redwood decking was designed to provide access to an office separate from the home. 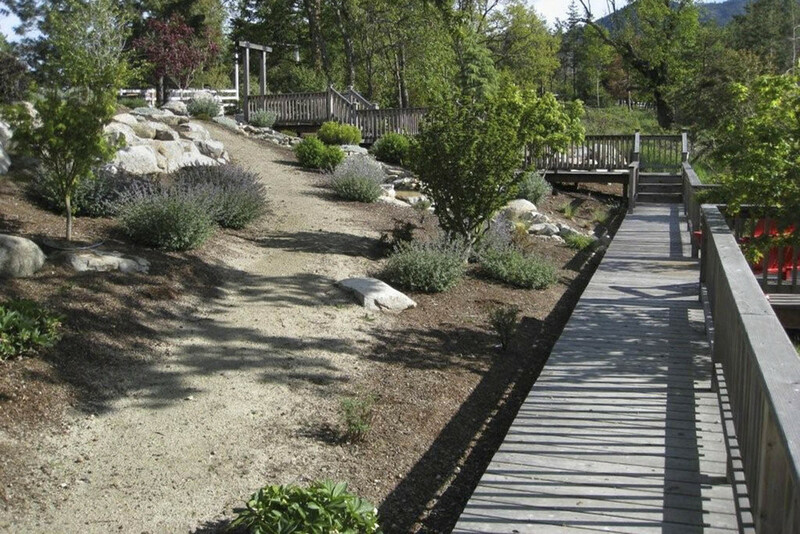 Because the property's water source was scarce, special attention was given to using native drought tolerant plantings. Design/Build by Solid Ground Landscape Inc.